More pickles – Wandering Wyoming…and sometimes, other places. The fruit seller finally brought a case of cucumbers on Friday, and when I returned from my trip out of town (stay tuned) I put them into jars. 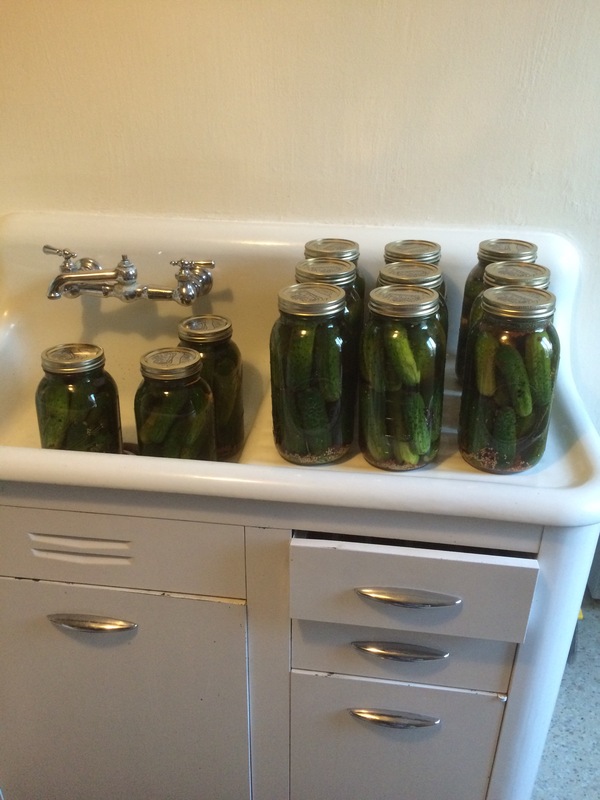 Three weeks from now, I’ll have a bunch of lacto fermented pickles. And a full fridge.